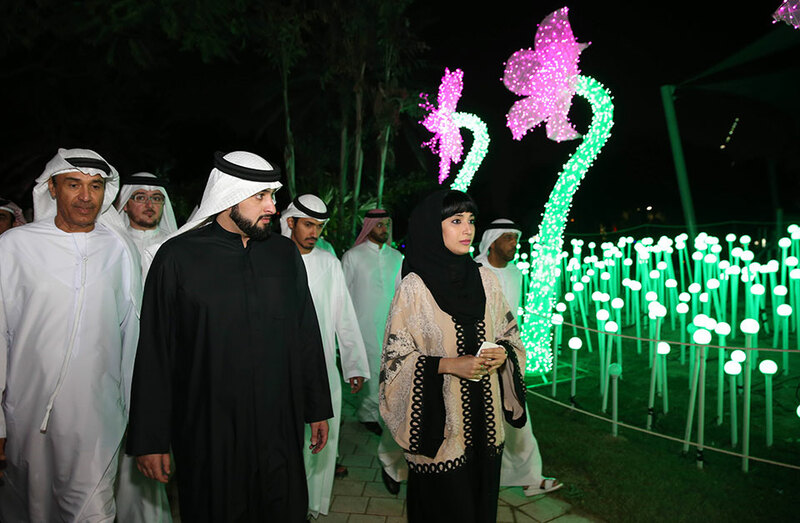 Dubai: The Garden Glow park is all set have its lights turned up on Wednesday, providing residents with a new way to enjoy the cooler evenings outdoors, it was announced on Monday. 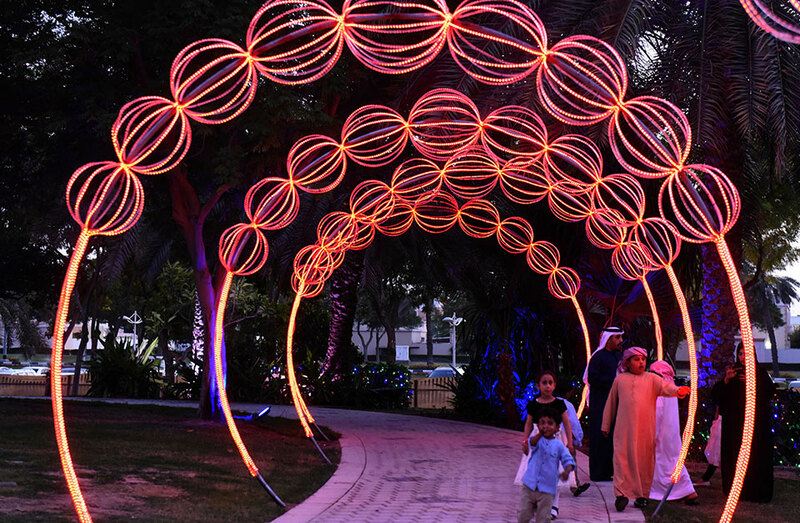 Built at a cost of Dh30 million, the Gulf’s first glow park is located in Area B at Gate 6 of Zabeel Park, and organisers expect it to attract around 5,000 visitors a day. 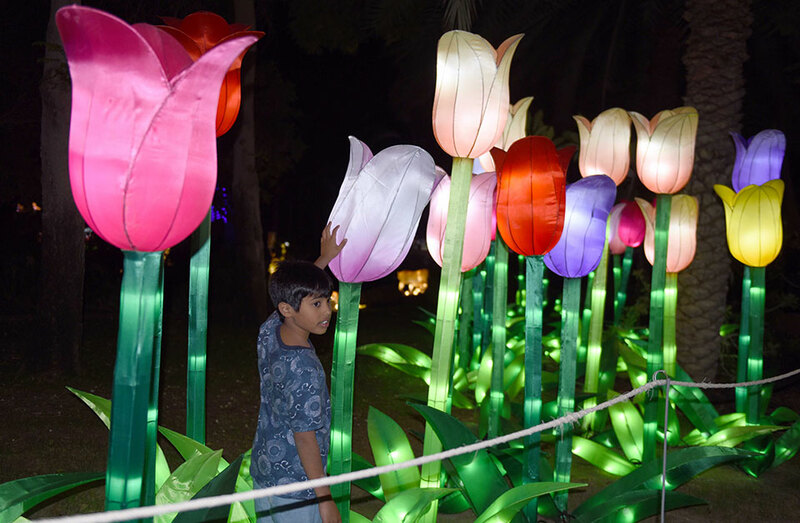 The innovative garden was designed under the theme of “Art by Day, Glow by Night”, as visitors do not have to wait till night falls to appreciate the meaning behind the park’s objective. 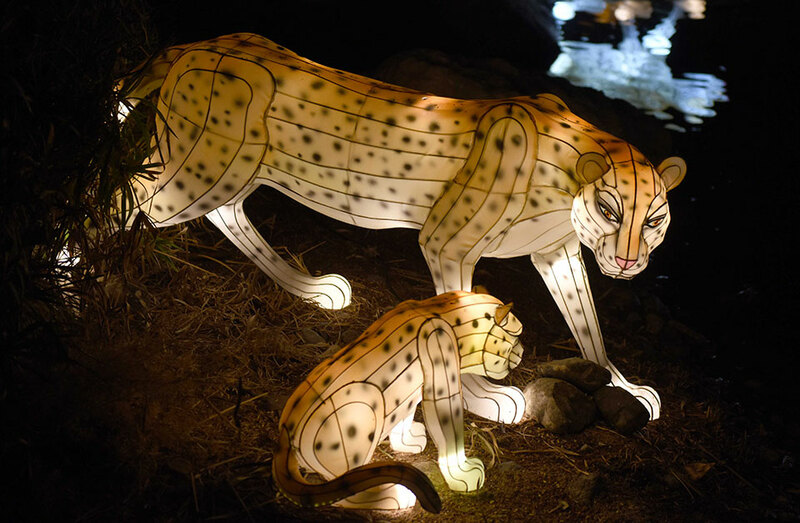 According to the project’s spokesperson, the park aims to raise the level of awareness on environmental sustainability, “as all the artwork has been made from recyclable materials, ranging from porcelain cups to medicine bottles,” she said. 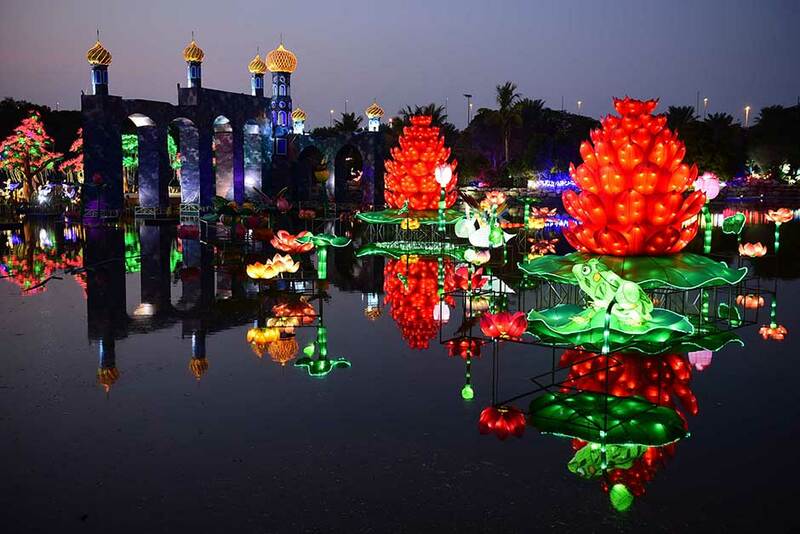 Officials at the municipality expressed their confidence in registering two of the park’s attractions with the Guinness World Records -- which includes a replica of the Grand Shaikh Zayed Mosque made up of 90,000 porcelain cups, plates and spoons. 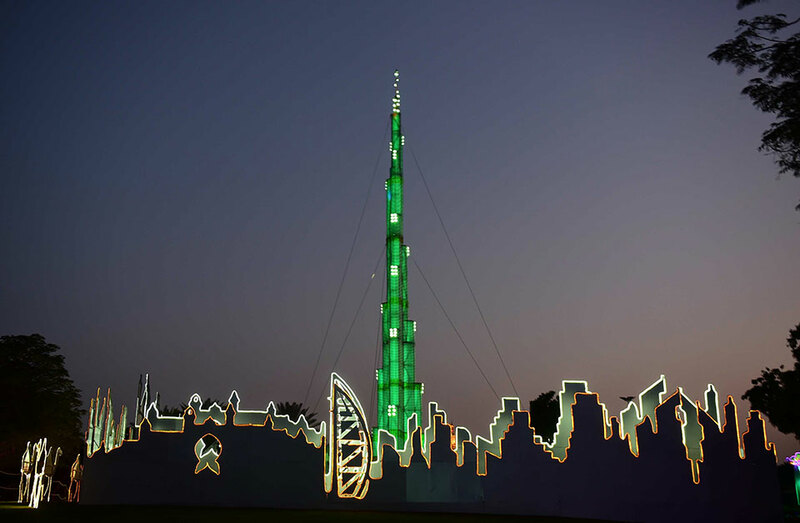 A replica of Burj Khalifa was recreated with 330,000 small medicine bottles filled with coloured water that stands over 12 meters high. 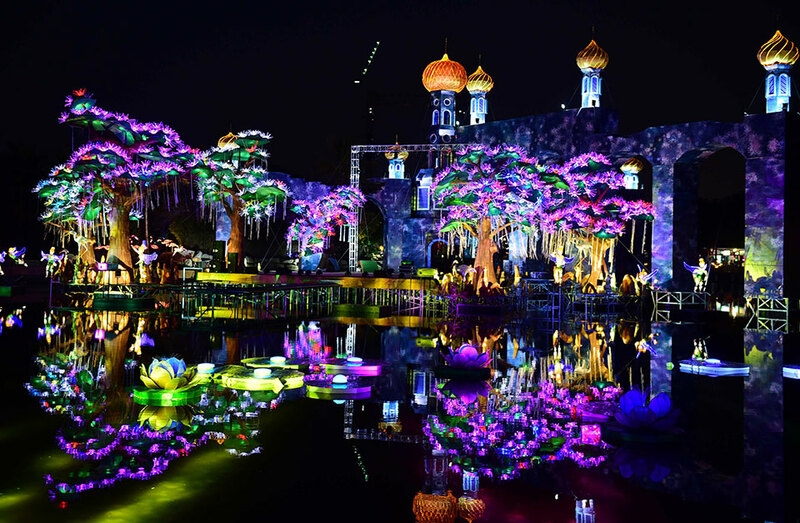 Dubai Garden Glow took 18 months to plan, said organisers, and consisted of 200,000 hours of work and as many as 150 artisans from different parts of the world to create the themed park. 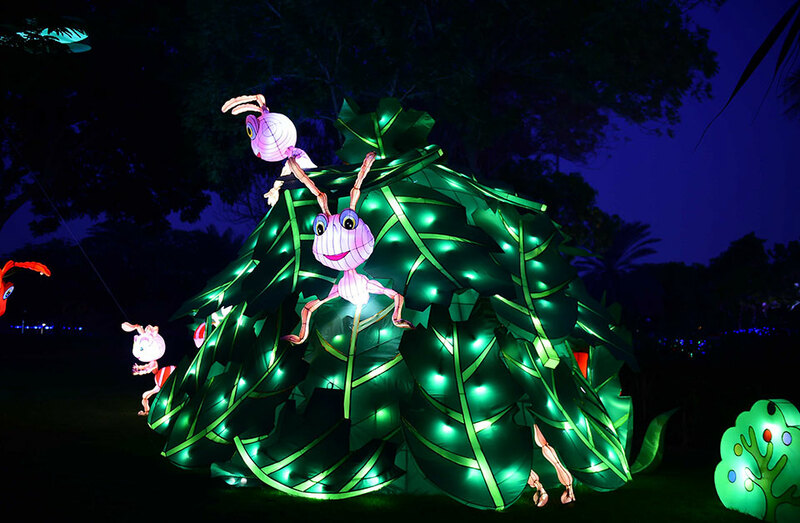 Some of the installations on display include an African Savanna, Ant Party, Dino Camp, Panda Paradise, Candy Land, Giant Phoenix Vase and an I Light Talking Tree, which has talking abilities. Children will also have a dedicated area of edutainment, where the venue includes several games and fun activities to keep them engaged. There will also be a large food street that offers food from around the world. 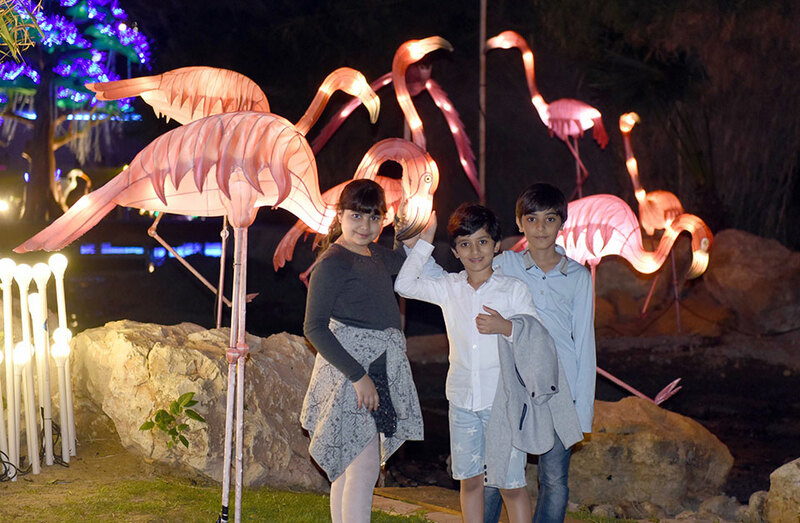 Entrance fees are priced at Dh60, although children below the age of three can go in for free. 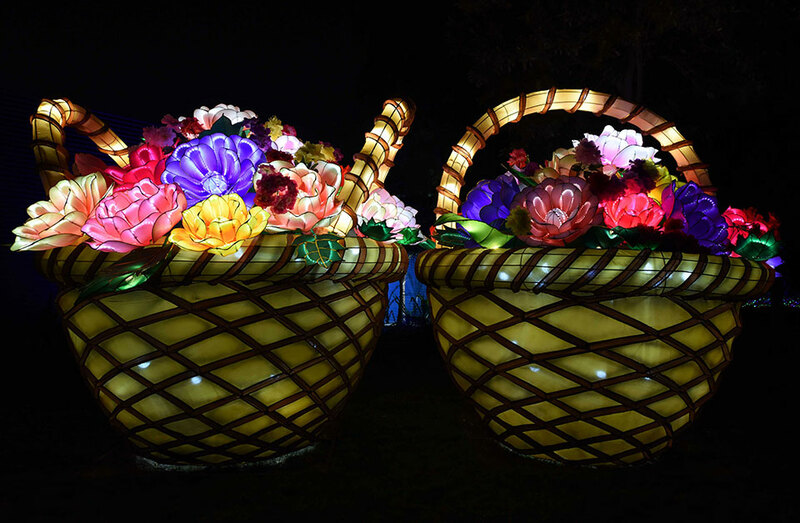 The park will run until April 30, 2016, from 4-11pm.